>Many people turn to religious teachings for solace and guidance in life in our insane world, but, Bishop Spong seems to think religion helps people be less responsible for their own life and the world we live in, offering a unique perspective from the typical doctrines of Christian belief. No one can really confirm where human souls are bound after death, so why do religions create stories of places like Heaven and Hell? The answer is simple: to control people and keep the Church alive. 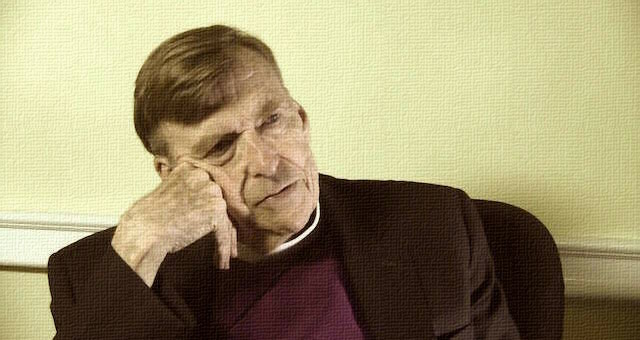 If even some of the most religious men, such as Bishop John Shelby Spong, are starting to publicly expose the motivations behind these stories, perhaps it is time for the masses to critically evaluate the value of religion over the importance of direct personal spiritual experience. “Every church I know claims that ‘we are the true church’ – that they have some ultimate authority, ‘We have the infallible Pope,’ ‘We have the Bible.’… The idea that the truth of God can be bound in any human system, by any human creed, by any human book, is almost beyond imagination for me. This post was republished from wakingtimes.com. You can find the original post here.